Early education was on the ballot this week from Seattle to Rhode Island, as voters approved new taxes and elected new governors, legislators and state education leaders. Thirty-six states elected governors—including 16 new to the job–and seven states elected superintendents of schools, along with more than 6,000 state legislators. With recent changes in federal policy–including the “Every Student Succeeds Act (ESSA)” and new PDG-B5 grants–progress in early education will depend more than ever on these new state policymakers. So far, progress has been slow. About a third of 4-year-olds and an even smaller percentage of 3-year-olds have access to high-quality pre-k–the kind of pre-k that leads to lasting benefits, according to The State of Preschool 2017. At that rate of growth in state-funded pre-K, NIEER calculates it would take 150 years to reach 75 percent enrollment. And at least half of the new governors elected — Gavin Newsom (CA), Jared Polis (CO), Ned Lamont (CT), JB Pritzker (IL), Tim Walz (MN), Michelle Lujan Grisham (NM), Mike DeWine (OH), and Tony Evers (WI)—made expanding access to quality preschool a campaign issue. At the same time, a record number of women are joining both Congress and state legislatures. In Congress, 118 women will be serving– up from 107 now in office—many of whom campaigned as “moms” who would pay more attention to issues affecting children and families, according to media reports. Seattle voters overwhelmingly supported a multi-year tax levy to sustain and nearly double enrollment in the city’s high-quality preschool program; and voters in a suburban Michigan county also raised their own taxes to ensure every child under 5 has access to community-based early learning programs. NIEER this week published Implementing 15 Essential Elements for High-Quality Pre-K: An Updated Scan of State Policies evaluating the extent to which 59 state-funded preschool programs across 44 states plus the District of Columbia satisfy 15 “essential elements” characterizing high-quality public preschool programs. Political will, vision and leadership are considered “essential” to providing high-quality public preschool programs, based on Jim Minervino’s “15 Essential Elements” study. Voters this week expressed their political will. Now we need vision and leadership. NIEER’s new state-by-state analysis evaluates how well 59 state-funded preschool programs satisfy a list of “essential elements” characterizing high-quality programs—and finds widespread change is needed to provide the high-quality early learning opportunities children need to succeed. This report complements NIEER’s annual State of Preschool yearbooks. While NIEER yearbooks examine the policies that support state-funded pre-K, the Essential Elements reviews how and the degree to which these policies are implemented, and it examines the enabling environment needed for strong policies to develop and be well implemented. NIEER recently published Implementing 15 Essential Elements for High-Quality Pre-K: An Updated Scan of State Policies evaluating the extent to which 59 state-funded preschool programs across 44 states plus the District of Columbia satisfy 15 “essential elements” characterizing high-quality public preschool programs. For each element, NIEER determined whether criteria were fully met, partially met, or not met based on the 2017-18 academic year. See new Essential Elements webpage This report updates NIEER’s 2016 Essential Elements state and local policy scan. Jim Minervino’s “15 Essential Elements” study provides a lens for investigating the quality of state or local preschool program policies and practices, considering policies in place as well as implementation and the enabling environment in which preschool operates, specifically political leadership and compelling vision. The Center on Enhancing Early Learning Outcomes (CEELO) this week published CEELO Leadership Professional Learning Community Final Report, an online summary of activities and findings from a professional learning community (PLC) supporting leadership development among newly appointed, high-level leaders of early education in state education agencies. The goal of the PLC, conducted from 2017 – 2018, to help participants increase awareness, gain critical knowledge and develop leadership skills needed to guide highly effective offices of early learning within state education agencies. The Division of Early Childhood (DEC) of the Council for Exceptional Children this week announced the latest in the DEC Recommended Practices Monograph Series: DEC Recommended Practices Monograph Series No. 4: Instruction: Effective Strategies to Support, Engagement, Learning, and Outcomes and DEC Recommended Practices Monograph Series No. 5: Interaction: Enhancing children’s access to responsive interactions. DEC’s series offers resources for coursework, training, technical assistance, and professional development, sharing practices shown through research to result in better outcomes for young children with disabilities, their families, and the personnel who serve them. The DEC Recommended Practices provide guidance to families and professionals about the most effective ways to improve learning outcomes and promote development of young children, birth through age 5, who have, or are at-risk for, developmental delays or disabilities. A new article in the British Journal of Psychology evaluates the possibility of promoting perspective taking in 206 typically developing preschoolers using an evidence-based pre-test/post-test quasi-experimental design. Perspective taking was measured by several tests and pro-social behavior was measured through repeated ecological non-participant observations both before and after the training. 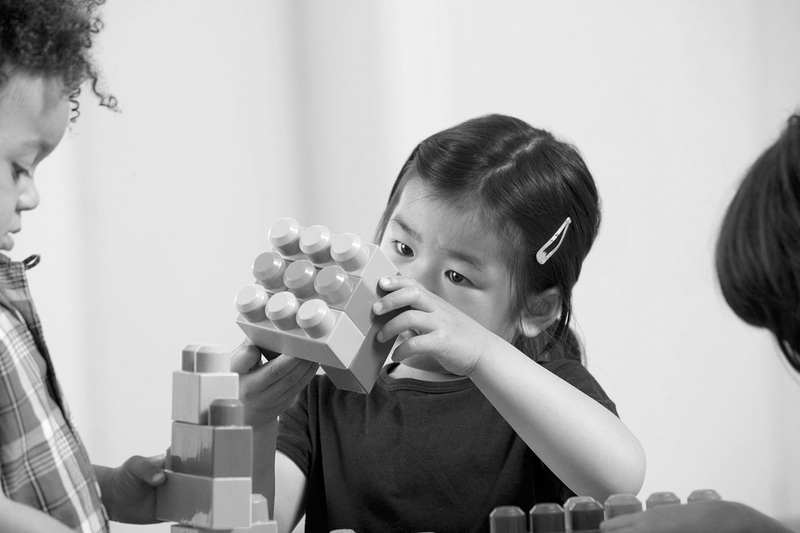 Results showed a significant increase in perspective taking scores after training relative to the control condition, supporting the possibility of promoting perspective taking ability in preschoolers. An increase in pro-social behavior after training was also observed in the experimental group as compared with the control group. Perspective taking was defined as the aptitude to understand the cognitive, affective, and visual point of view of others, a fundamental social ability for the development of socio-cognitive and affective skills. A study recently published in The Journal of Sports and Exercise Psychology examined whether a proven gross motor skill intervention, Successful Kinesthetic Instruction for Preschoolers (SKIP), also improves preschoolers’ executive function. Researchers note that executive function skills play a critical role in school readiness for young children and can be improved through targeted intervention. Researchers found the SKIP condition group showed significantly better gross motor and executive function skills than control participants. Results are the first to document the effectiveness of the SKIP intervention in also improving children’s executive function. A recent article in Developmental Psychology investigates how harshness and unpredictability interact in regulating child and adolescent development. Researchers analyzed data from the National Institute of Child Health & Human Development Study of Early Child Care and Youth Development. Early life harshness was defined as the typical level of family income-to-needs based on six repeated measurements across the first 4.5 years of life. Early life unpredictability was defined as random variation using the same family income measurements. Researchers found that children functioned most competently in the social and academic domain as kindergartners when exposed to low environmental harshness and low unpredictability and least competently when they experienced high harshness and low unpredictability. The same interaction pattern emerged in adolescence in forecasting cognitive-academic competence and sexual behavior. A new Prevention Science article evaluates the efficacy of the Incredible Years Teacher Classroom Management Program on student social behavioral and academic outcomes among a large diverse sample of students within an urban context. Researchers examined overall effects on teacher-reported student behavior and academic outcomes, as well as student outcomes by demographic variables and pretest measures of social emotional and disruptive behavior and academics. Researchers indicated the Incredible Years Teacher Classroom Management Program reduced student emotional dysregulation and increased pro-social behavior and social competence. In a recently released meta-analysis in the Journal of Learning Disabilities, researchers updated an earlier synthesis by Wanzek and Vaughn (2007) on intensive early reading interventions by analyzing the effects from 25 reading intervention studies. Researchers examined the overall effect of intensive early reading interventions as well as relationships between intervention and student characteristics related to outcomes. Researchers found that intensive early reading interventions resulted in positive outcomes for early struggling readers in kindergarten through third grades. The Idaho Association for the Education of Young Children recently released this online toolkit to help communities work through the process of forming local collaborations that enhance the quality and options of preschool in their area. While intended to be comprehensive, the toolkit allows customization based on the dynamics of a community. Ounce National Policy Team is seeking a Policy Specialist to conduct policy research and analyses on early childhood programs, systems, policies, and advocacy strategies; and provide thought leadership through knowledge creation and curation and develop tools to inform policy advocacy efforts of our state and local partners. The Policy Specialist will have a particular focus on home visiting efforts, and will be based in the Chicago office. SRCD is seeking applicants for the SRCD Policy Fellowship Program for the 2019-2020 academic year. There are two fellowship programs: federal and state. The purpose of the fellowship program is to provide researchers with immersive opportunities to learn firsthand about policy development, implementation and evaluation, and to use their research skills in child development to inform public policy at either the federal or state level. All fellowships will be from September 1, 2019 to August 31, 2020. For more information about the SRCD Federal Policy Fellowship Program, click here or email policyfellowships@srcd.org.